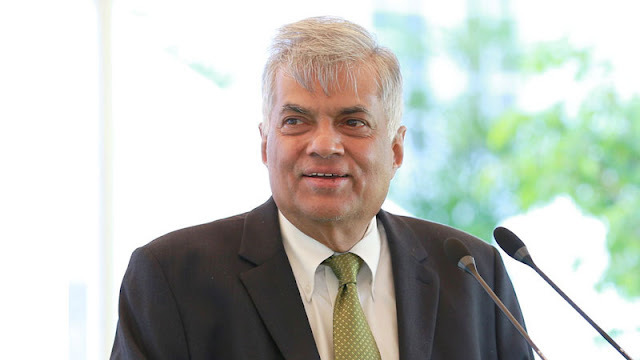 The New Education Standard Act comprising all the changes that should be made to enhance the quality of the country’s education will be introduced in the near future, Prime Minister Ranil Wickremesinghe said. The Prime Minister was speaking at the Subhaga Scholarship Awards Ceremony at Temple Trees yesterday. Premier Wickremesinghe said during the past three years, the government had implemented several programmes for the improvement of facilities in schools. But, the qualitative development of education in Sri Lanka is not up to the mark. “Paying our attention towards quality education is an important factor. We have to provide scope and ensure quality education. I have already instructed Education Minister Akila Viraj Kariyawasam to take necessary measures to develop national standards for education,” the Premier said. The Prime Minister further said that the quality of education will improve the learning process. But, improving the quality of education is not an overnight development. “Qualified and trained teachers, better infrastructural facilities, up-to-date curriculum and regular assessments of the students are the main tools of ensuring quality education,” the Prime Minister said. The Premier further stressed the importance of giving legal power to education inspectors. Prime Minister Wickremesinghe said that education inspectors in England is considered as a very important profession and they care called Her Majesty’s Inspectors of Education. They are responsible for the inspection of public and independent, primary and secondary schools, higher education colleges, community learning, Local Authority Education Departments and teacher education. “The contribution of teachers is significant in ensuring the quality of the country’s education system. Therefore,it is essential to engage trained teachers in all schools to strengthen the teaching and learning process,” the Prime Minister said. “The government has focused special attention towards all teacher requirements such as teacher recruitment to schools, training, national policy on teacher transfers, grading and promotions of teachers, teacher salaries and welfare services,” the Prime Minister said. “Measures would be taken to make teacher training compulsory within the next four to five years. So the teachers who have not yet undergone training should complete their training by then,” the Premier said. The Prime Minister said the present government would be able ensure a better education system by 2024-25. Education Minister Akila Viraj Kariyawasam said that developing human resources is the best way to develop the country. “The Subhaga Scholarship Programme was implemented following a concept of former Education Director Sirisena with the intention of bringing about an innovative generation of youth complete with potential needed to meet the future challenges,” the Minister said. “The Ministry of Education as per the 2017 Budget Proposals has taken measures to launch a Scholarship Scheme for talented students who have excelled in sports, arts and new inventions,” he said. As the initial step of the said programme commencing from 2017, 1000 scholarships were awarded to innovative and talented students on the occasion. Each scholarship includes Rs.50,000 per month for a period of 20 months. State Education Minister V. Radhakrishnan, Monitoring MP Imran Maharoof, Ministry Secretary Sunil Hettiarachchi, Provincial Education Officials, Principals, Teachers and scholarship beneficiaries participated to the event.